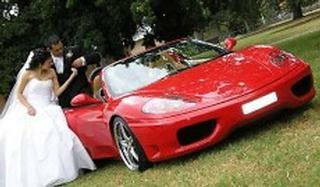 You must arrive to your wedding in a car with style and elegance, of course with your own personal chauffeur. 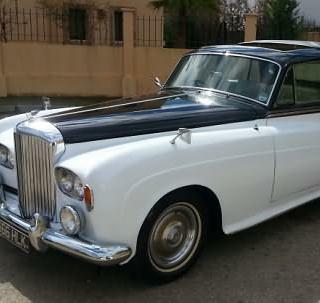 & how about driving away from the church in a Classic 1960 Bentley S3 Soft Top? Travel in style and comfort & make a memorable impression. 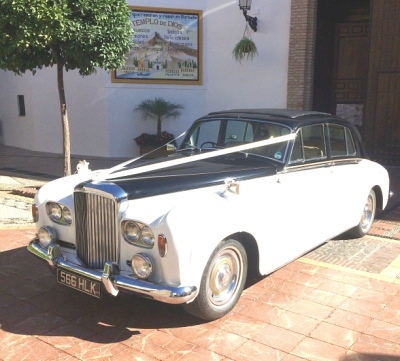 Your wedding day is a highly personal and important event so you can rely on Blue Sky Super Car Hire to ensure your day stays special by arriving and departing on time and in style. Our service and attention to detail ensure that you get the fairy tale wedding of your dreams. Our cars come with all the ribbons & wedding car bouquets needed , and if using our professional chauffeur service we will ensure that everything runs smoothly and to your personal satisfaction and we can stay with you for as long as you need us. Please note that these cars do not have air conditions as they are classic cars, but have folding back roof which lets plenty of fresh air in when needed. How about a Classic Wedding Car?